One of the more confusing aspects of Medicaid is that because it’s a state program, no two programs are ever alike. Many may read an article and realize it’s applicable in only one state. Each state has its own program, guidelines and stipulations. The process for appealing a Medicaid denial is more straightforward and slightly more consistent from one state to the next. Your state Medicaid agency will oversee the appeal process, but it follows the federal compliance guidelines. This is where a qualified estate planning lawyer can truly make a big difference in the decision and turn-around time. There are a few reasons why Medicaid would decline your application. You may have too many assets, or the agency may not believe you are disabled to the point that you require its assistance. It must notify you in writing that your application has been denied, though it can take up to 90 days to receive an answer if you’re applying for Medicaid based on a disability. If you apply for any other reason, Medicaid has 45 days to supply and answer. This is important as the notice must advise you of your right to appeal, how to go about requesting that hearing and an explanation, to some degree, for its decision. You may hire legal guidance to represent you or you may represent yourself. You can also have another person help you at the hearing. It must give the specific reasons as to why your application was declined, based on Medicaid’s rules, though again, the explanation may be lacking. Finally, you’ll see a deadline for appealing its decision. You must file your appeal within that timeframe or you could face having to explain why you didn’t take action within that time frame. The appeal deadline is rarely, if ever, more than 90 days. Also, as Ohio estate planning attorneys who represent Medicaid applicants, we encourage our clients to keep any and all communication that’s sent to them. Document everything. Once your appeal is set for a hearing, we will accompany you to that hearing. We’ll meet with you to discuss what happens and how the hearings are conducted. It won’t be a traditional courtroom setting, but rather, we will make your appeal to one, or sometimes a few, hearing officers. 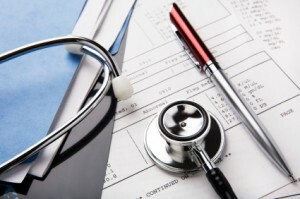 You may be required to undergo another medical exam and if you opt not to, your denial stands. If the hearing officer orders the exam, the state will pay for it. Once the hearing is over, you will receive a decision in writing. Pay attention to the details as there will be specific rules that are applicable to our state laws. In some instances, you can appeal at your local Medicaid office; however, we encourage you to seek legal representation. This way, you’re assured of timely replies and you don’t have to worry about missing any of the deadlines. We’ll compile your letters and ensure problems are handled before they come up. It’s what we do.